Hi everyone! 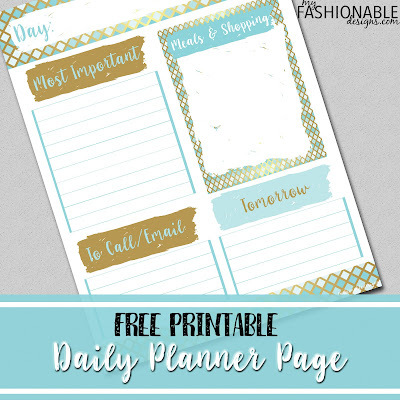 Here is a new planner page that I created and wanted to share. I've been a little overwhelmed lately with tasks and projects and Etsy orders and kids....etc!!!! 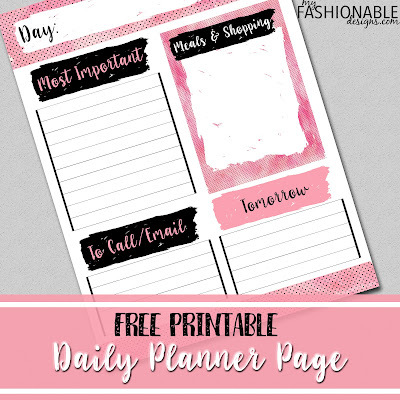 I decided that a full-week planner is not working for me and that I just need to take each day at a time. I have switched over to daily to-do lists and what I don't finish one day, I just carry over to the next. I'm finding that I'm much more productive and crossing off a lot more than when I was trying to put everything in a weekly planner. I hope you will find this helpful as well!! !